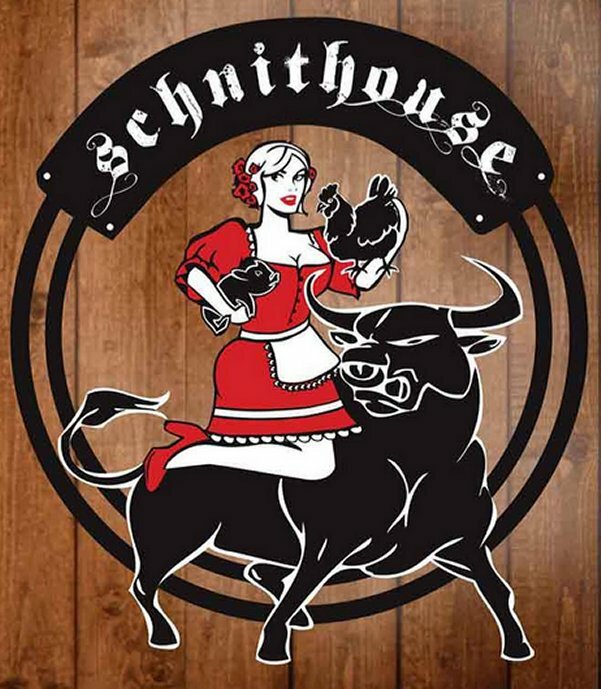 What was once Alfresco on Rundle, and Sliders on Rundle, is now the Schnit House. Having made many first day appearances at this address, I was a bit skeptical as to whether this place would be any good. 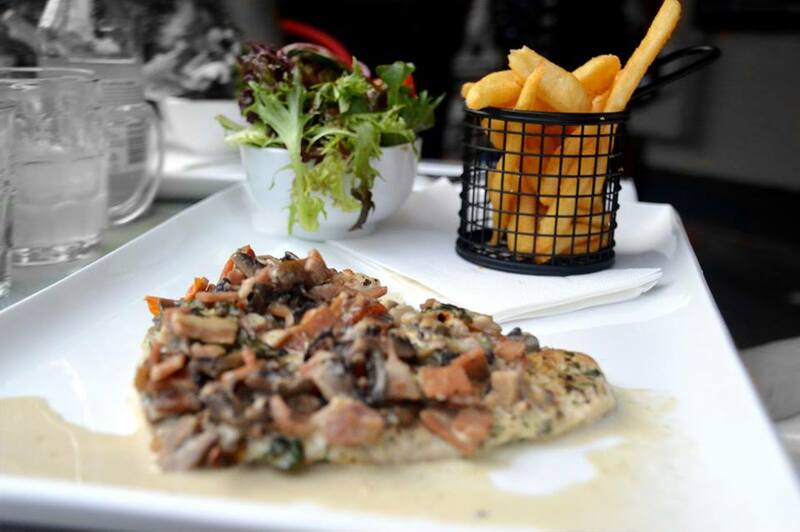 Gourmet schnitzels are nothing new as a place called House of Schnitzel already has a similar concept. The schnitzels here are available in various proteins being chicken, beef, pork, fish and vegetarian, and are available fried or crumbed. 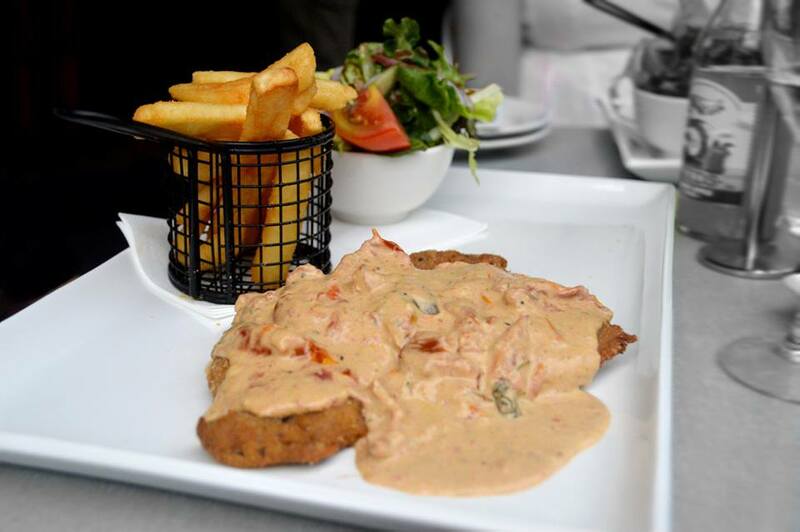 You can get a classic schnitzel with a choice of 8 different sauces or you can select one of the 20 gourmet varieties. 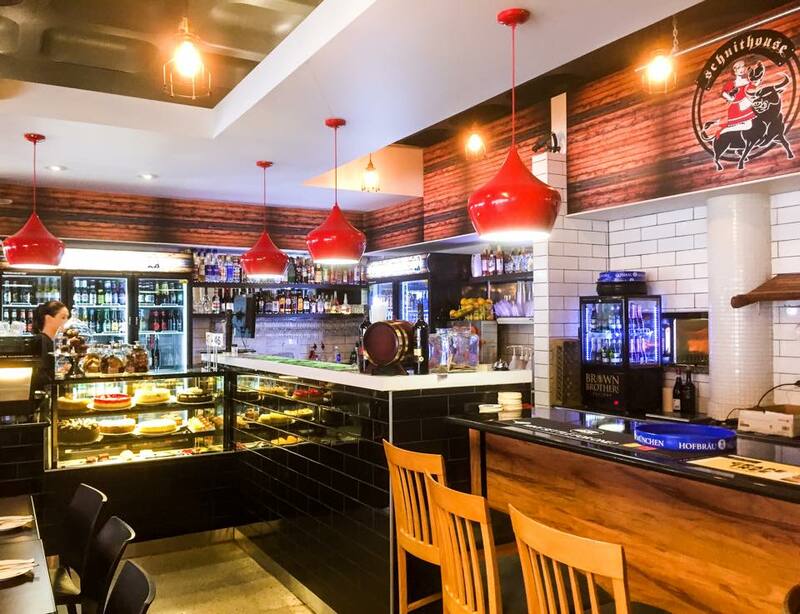 Of course, if you don’t want schnitzel, there is a selection of pizzas, burgers, wraps, salads and desserts to choose from. The decor is neat and well presented, and apart from the change in signage here and there, it appears to be a slight update from the former Sliders on Rundle. 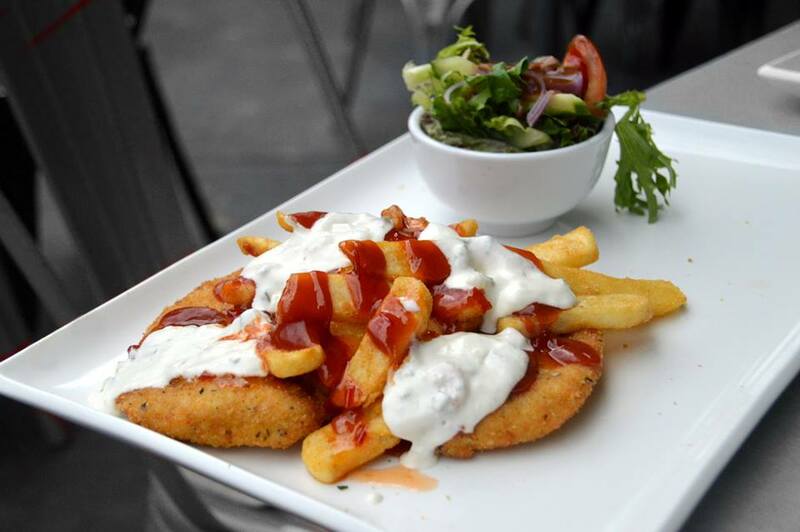 For dinner, I had the Crumbed Chicken AB Schnit which is topped with chips, tzatziki, sweet chilli and tomato sauce. All the dishes came out after a 15 minute wait and had good presentation. The schnitzel was lightly crumbed and fried to a lovely golden brown. The chicken was moist and tender, and probably one of the best chicken schnitzels I’ve ever had. The tzatziki sauce had a nice thick consistency with good proportions of garlic and yoghurt. The chips were of a medium cut, and fried till they were nice and crunchy. The salad was fresh and crisp, and a perfect amount of vinaigrette dressing was applied. My friend had the Crumbed Bull Federer Schnit which comes with a Swiss cheese, avocado, semi dried tomato, baby spinach and sweet chilli mayo sauce. I had a taste of the beef schnitzel and was pleased to find the meat to be tender and succulent. I usually steer clear from beef schnitzels because they’re usually tough and leathery, and the experience is equivalent to biting into a sole of a shoe. Another friend had the Grilled Chicken Protein Schnit which is topped with baby spinach, mushrooms, tomato, avocado, bacon and a creamy lemon pesto. I didn’t get to try this one but was told it was good. The staff were friendly and the service was average. Apart from the tables being too small to fit our plates, we thought the waitress serving us was too quick to clear them. The plates were cleared at different times, and one friend was still in the middle of eating when the waitress asked if her plate could be cleared as well. The atmosphere was vibrant, although being opening day and coinciding with the start of the Fringe, that was to be expected. The schnitzels we had ranged from $23.50 to $24.90, which I thought was a little pricey for a gourmet schnitzel, but given it’s location and the quality of the dishes, there is some justification. With schnitzels being readily available at any pub you go to, I was pleased to find that this place makes great schnitzel.